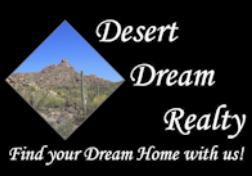 CAVE CREEK & CAREFREE APRIL EVENTS 2019 | Desert Dream Realty Cave Creek | 480-252-8300 | Find Your Dream Home with Us! Enjoy Spring and check out what there is to do in Cave Creek and Carefree in April! Friday, March 29th - Sunday April 7th, 2019 at Hideaway Grill Bigger and better with Live music every day and night thru rally. Enjoy Arizona Builders, biker games, vendors, give-a-ways, drink specials and so much more! Check out their website for all the details! Friday, April 1st - April 26th 7 AM to approximately 1 PM Every Friday near the Sundial in Carefree! When it's hot, the market moves to the Sanderson Lincoln Pavilion stage area where there is shade and misters to cool the area. April 6th - April 27th - 7 AM - 9 AM @ Heart & Soul Cafe and Saloon 4705 E Carefree Hwy, Cave Creek, AZ 85331 Every Saturday local guys bring in their cars for everyone to see. Special breakfast for anyone who participates! April 13th from 1:30 PM to 2:30 PM at the Cave Creek Museum 6140 E Skyline Dr, Cave Creek, AZ 85331 480-488-2764 Moved from it's original site on Continental Mountain, the Golden Ref Stamp Mill is the pride of Cave Creek Museum and is the only FULLY OPERATIONAL stamp mill in Arizona. Visit the website for more information. April 20th from 10 AM to 3 PM at Frontier Town located at 6245 E Cave Creek Rd, Save Creek, AZ 85331 Celebrate Earth Day by coming to an arts and crafts festival in Cave Creek! Hosted by Tierra Madre Horse and Human Sanctuary, this festival will feature a variety of different vendors, live music and fun for the whole family including crafts, raffles and activity tables. To learn more about becoming a vendor at this event, please contact event manager Kathi at (602) 405 – 8830. Click Here to see May Events!